When the Holy Spirit works to enlighten people, He generally gives them a knowledge of God’s work, and of their true entry and true state. He also allows them to understand God’s eager intentions and His requirements for man today, so that they have the resolve to sacrifice everything to satisfy God, that they must love God even if they meet with persecution and adversity, that they will stand witness for God even if it means shedding their blood or giving their life; they will have no regrets. If you have this kind of resolve it is the stirrings of the Holy Spirit, and the work of the Holy Spirit—but know that you are not possessed of such stirrings at every passing moment. Sometimes at meetings when you pray and eat and drink God’s words, you can feel extremely moved and inspired. It feels so new and fresh when others share some fellowship on their experience and understanding of God’s words, and your heart is perfectly clear and bright. This all pertains to the work of the Holy Spirit. If you are a leader and the Holy Spirit gives you exceptional enlightenment and illumination when you go down to the church to work, allowing you to see into the problems that exist within the church and know how to share fellowship on the truth to resolve them, making you incredibly earnest, responsible and serious in your work, all of this pertains to the work of the Holy Spirit. The work of the Holy Spirit is especially normal, and as He works in people they still have troubles, they still cry, they still suffer, they are still weak, and there is still much that is unclear to them, yet in such a state they are able to stop themselves sliding backward, and can love God, and although they cry and are distressed inside, they are still able to praise God; the work of the Holy Spirit is especially normal, and not the slightest bit supernatural. 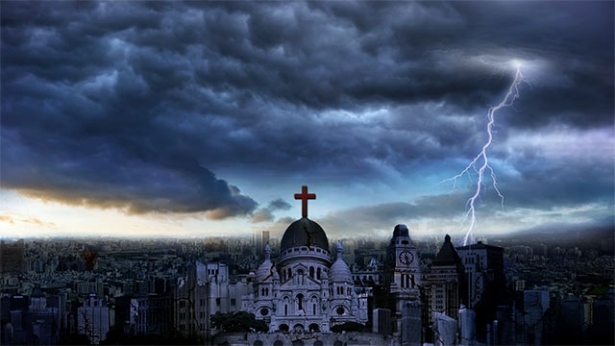 Most people believe that, as soon as the Holy Spirit begins to work, changes occur in people’s state and the essential things of them are removed. Such beliefs are fallacious. When the Holy Spirit works within man, the passive things of man are still there and his stature remains the same, but he has the illumination and enlightenment of the Holy Spirit, and so his state is more proactive, the conditions within him are normal, and he changes rapidly. All of the Holy Spirit’s work is normal, and real. 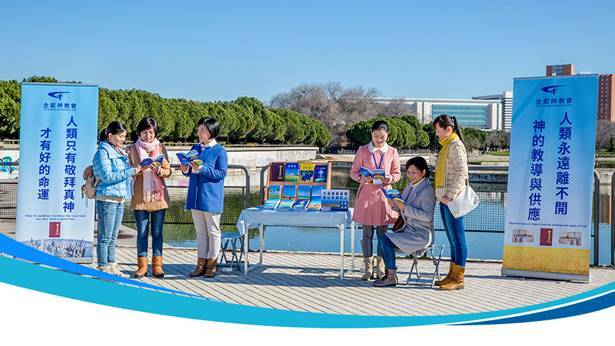 When you read God’s words and pray, inside you are bright and steadfast, the external world cannot interfere with you, inside you are willing to love God, are willing to engage with positive things, and you detest the evil world; this is living within God, and is not, as people say, enjoying so much—such talk is not real. Sometimes, when you are enjoying the words of God, your spirit is touched, and you feel that you can’t help but love God, that there is great strength within you, and that there is nothing that you can’t put aside. If you feel like this, then you have been touched by the Spirit of God, and your heart has wholly turned to God, and you will pray to God and say: “O God! We truly have been predestined and chosen by You. Your glory gives me pride, and it feels glorious for me to be one of Your people. I will expend anything and give anything to do Your will, and will devote all my years, and an entire lifetime of efforts, to You.” When you pray like this, there will be unending love and true obedience toward God in your heart. Have you ever had such an experience as this? If people are often touched by the Spirit of God, then they are especially willing to devote themselves to God in their prayers: “O God! I wish to behold Your day of glory, and I wish to live for You—nothing is more worthy or meaningful than to live for You, and I have not the slightest desire to live for Satan and the flesh. You raise me up by enabling me to live for You today.” When you have prayed in this way, you will feel that you can’t help but give your heart to God, that you must gain God, and that you would hate to die without having gained God while you are alive. Having spoken such a prayer, there will be an inexhaustible strength within you, and you will not know from where it comes; in your heart there will be limitless power, and you will have a sense that God is so lovely, and that He is worth loving. This is when you will have been touched by God. All those who have had such an experience have been touched by God. For those who are often touched by God, changes occur in their lives, they are able to make their resolution and are willing to completely gain God, the love for God in their hearts is stronger, their hearts have completely turned to God, they hold no regard for family, the world, entanglements, or their future, and they are willing to devote a lifetime of efforts to God. All those who have been touched by the Spirit of God are people who pursue the truth, and who have hope of being made perfect by God. You can be foolish, and there can be no differentiation within you, but the Holy Spirit has but to work for there to be faith in you, for you to always feel that you can’t love God enough, for you to be willing to cooperate, to be willing to cooperate no matter how great the difficulties ahead. Things will happen to you and it won’t be clear to you whether they come from God or from Satan, but you will be able to wait, and you will be neither passive or remiss. This is the normal work of the Holy Spirit. When the Holy Spirit works within them, people still encounter real difficulties, sometimes they cry, and sometimes there are things that they can’t overcome, but this is all a stage of the ordinary work of the Holy Spirit. 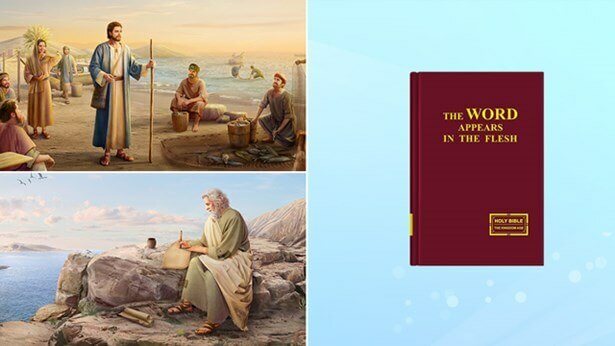 Although they do not overcome those things, and although, at the time, they are weak and make complaints, afterward they are still able to love God with absolute faith. Their passiveness cannot stop them having normal experiences, and regardless of what other people say, and how they attack them, still they are able to love God. During prayer, they always feel that they used to be so indebted to God, and they resolve to satisfy God and renounce the flesh when they encounter such things again. This strength shows there is the work of the Holy Spirit within them, and this is the normal state of the work of the Holy Spirit. God does not repeat His work, He does not do work that is not realistic, He does not make excessive requirements of man, and He does not do work that is beyond the sense of man. All the work He does is within the scope of man’s normal sense, and does not exceed the sense of normal humanity, and His work is according to man’s normal requirements. If it is the work of the Holy Spirit, man becomes ever more normal, and his humanity becomes ever more normal. Man has an increasing knowledge of his satanic corrupt disposition, and of the essence of man, and he has an ever greater longing for the truth. That is to say, the life of man grows and grows, and the corrupt disposition of man becomes capable of more and more changes—all of which is the meaning of God becoming the life of man. The Holy Spirit has a path to walk in each person, and gives each person chances to be perfected. Through your negativity you are made to know your own corruption, and then through throwing off negativity you will find a path to practice, and this is the perfection of you. Further, through the continuous guidance and illumination of some positive things inside of you, you will proactively fulfill your function and grow in insight and gain discernment. When your conditions are good, you are especially willing to read the word of God, and especially willing to pray to God, and can relate the sermons you hear to your own states. At such times God enlightens and illuminates you within, making you realize some things of the positive aspect. This is perfection of you in the positive aspect. In negative states, you are weak and negative, and feel that you don’t have God in your heart, yet God illuminates you, helping you find a path to practice. Coming out of this is attainment of perfection in the negative aspect. Sometimes God gives you a certain type of feeling—you lose your inner enjoyment and lose God’s presence, and you are in darkness. This is a type of refinement. Whenever you do something it goes awry or you hit a wall. This is God’s discipline. You may do something and not have any particular feeling about it, and others don’t know either, but God knows. He will not let you go, and He will discipline you. The work of the Holy Spirit is very detailed. He very carefully observes people’s every word and action, their every act and move, and their every thought and idea so that people can gain internal awareness of these things. You do something once and it goes awry, you do it again and it still goes awry, and gradually you will come to understand the work of the Holy Spirit. Through many times of being disciplined, you will know what to do to be in line with God’s will and what is not in line with His will. In the end, you will have accurate responses to the Holy Spirit’s guidance from within you. Previous：What is the difference between a good servant and an evil servant? Next：How can one obtain the work of the Holy Spirit?